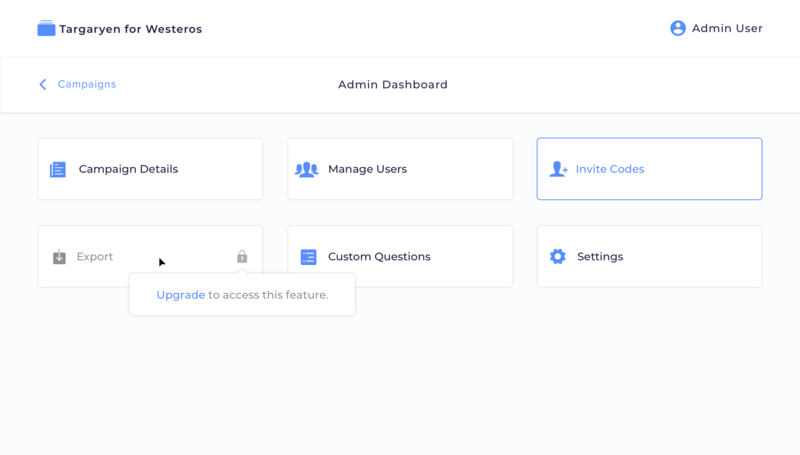 The Admin Dashboard is your main menu for accessing all of the administrator features of Reach. It is visible to all campaign Admins and Owners. To learn how to access this screen, check out this article. If a button on the dashboard is gray and disabled, that is because it is not currently available for your campaign. This is most likely because you are using Reach Trial or Reach Basics and that feature is only available on a Reach Basics or Reach Complete subscription. To access those screens, you’ll need to upgrade your reach plan. Hit us up at [email protected] to move forward with that.